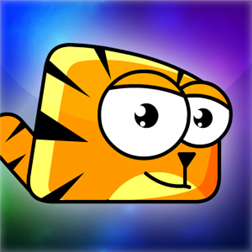 Now available for Windows Phone 8 is the free puzzle/platformer Catorize! In it a cat is looking for colorful gems, and your task is to help him reach them. Choose a right path for him to jump and spectate the result of your work. Remember that all gems on the level must be collected, otherwise you will lose. Meooow… oh… good luck! Check out the trailer or head past the break to download. There is a magic world of sparkling colors where lives a little cat. While he was sleeping something horrible has happened… All the colors of the world have been mysteriously stolen and changed into a sad picture that can make nobody happy anymore. Little cat asked himself in a despair what he can do? There is no time for panic but it is a high time for action! Control the power of jump with one click or finger touch. Change direction to help the cat catch the color. 5 locations, 80 levels and more to come! Download this awesome free title today! Written by: MBGW on February 18, 2014.